Brad Thomas Parsons, author of the James Beard and IACP Award-winning Bitters, always has his finger on the pulse of what's new and exciting in the cocktail world. But in this case, what's new is old--specifically, the centuries-old European tradition of making bitter cordials and liqueurs. 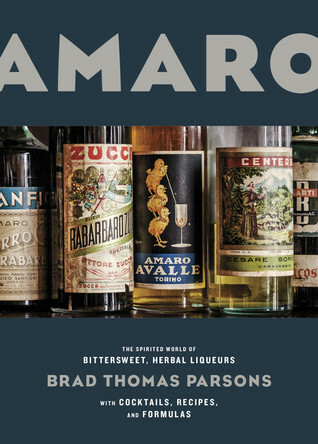 In Amaro, Parsons takes readers on a bittersweet tour of Italian bars, cafés, and distilleries, opening readers' eyes to the rich history and vibrant culture of amaro today. Then, he returns to the United States, where contemporary mixologists are incorporating amari into a delicious and eclectic array of cocktails. Gorgeous location and cocktail photography; an impeccable package; and more than 100 recipes for DIY amaro, amaro cocktails, and amaro-spiked desserts will make this the must-have beverage book of the season.